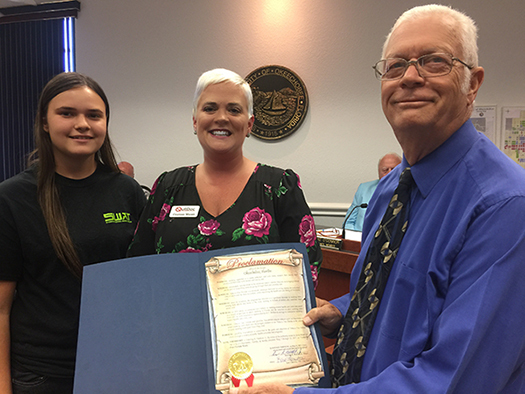 City of Okeechobee Proclaims May 7-13 as "Tobacco Free Florida Week"
Did you know that smokers die an average of 10 years earlier than nonsmokers? In Florida, 30% of all cancer deaths are due to smoking. Some smokers live with chronic conditions such as chronic obstructive pulmonary disease (COPD), or another smoking related illness that reduces the quality of life for those individuals. Besides the health costs of smoking, many people don’t consider the financial costs of smoking. For a person who smokes one pack of cigarettes per day in Florida, it can cost $2000 per year. Since 90% of smokers first tried using cigarettes by age 18, imagine the lifetime cost of smoking over the years. In just five years, $10,000 will be spent on cigarettes for a pack-a-day smoker. What could you do with $10,000? Tobacco use costs thousands of dollars for families each year. The good news is that most smokers want to quit. In fact, according to the Centers for Disease Control, almost 70% of adult smokers really want to kick the habit. Every year about 40% of smokers make a quit attempt. Quitting smoking is hard. 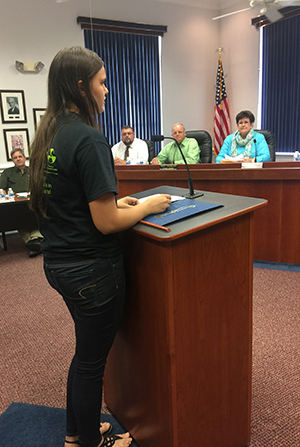 There is support for those who realize the cost of smoking and want to quit for good. 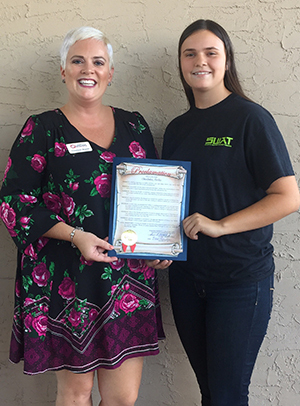 Mayor Watford thanks Spelts for information speech and said, “it is always exciting to see our youth getting involved in political and social issues and Ms. Spelts represented your club extremely well.” For more information, or to get involved with the Tobacco Free Partnership of Okeechobee call 863-801-8277 or email info@tfp-okeechobee.org.